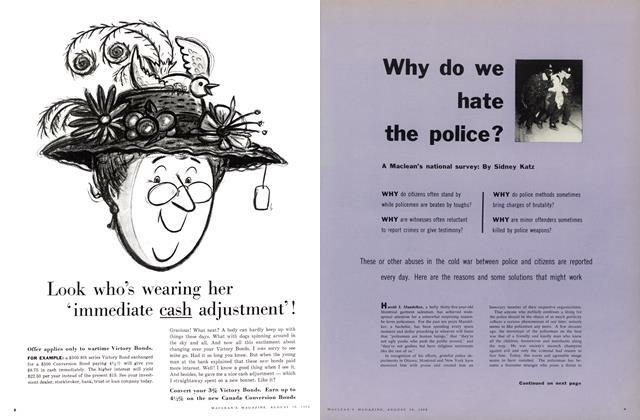 Why do we hate the police? What is it about budgies? If you live in British Columbia you can expect to get a different cover on this copy of Maclean's from that received by readers in the rest of Canada. 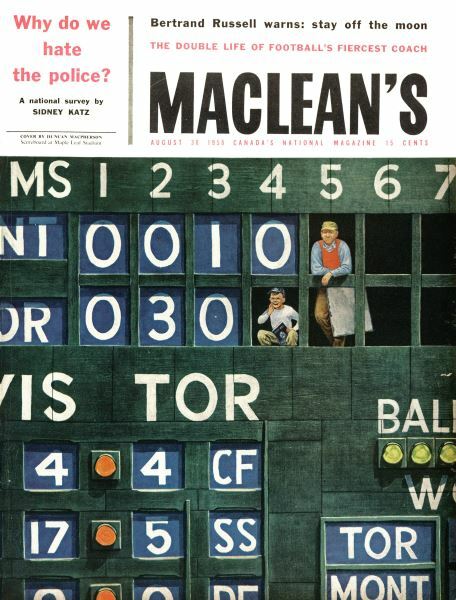 Most of the country will see Duncan Macpherson's painting of a baseball scoreboard (above) but British Columbians will see the more poster-like cover reproduced to its right.